Cafe table with a powder coated Black column and a large round Chrome base. Available in a choice of three heights and suitable for table tops up to a maximum size of 900mm square or 1050mm circular. 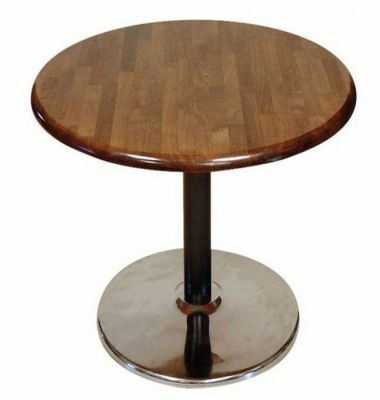 Heavy duty and luxury cafe table base with a large circular chrome foot and a roobust back column. The table base is manufactured to a high specification.